63% of those surveyed have dated someone who speaks a different language. 97% of those surveyed said that knowing another language makes traveling to other countries easier. 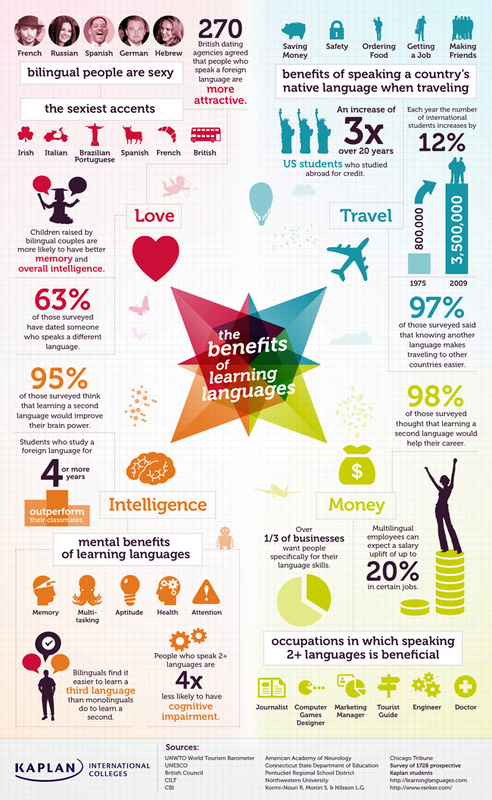 95% of those surveyed think that learning a second language would improve their brain power. 98% of those surveyed thought that learning a second language would help their career.